Watkins Glen International plays host to the NASCAR Nationwide Series and the NASCAR Sprint Cup Series this weekend. The NASCAR Nationwide Series will be on track at Watkins Glen this weekend for the Zippo 200 At The Glen. JR Motorsports drivers Chase Elliot and Regan Smith currently sit 1-2 in the NASCAR Nationwide Series driver standings coming into this weekend’s race. The race will air live this Saturday, August 9th on ABC with the green flag expected to fly at 2:33pm ET. Fans can catch qualifying live at 9:30am ET the same day with qualifying for the NASCAR Sprint Cup Series following at 11:30am ET. The countdown to the Sprint Cup Series’ Chase for the Cup inches closer as the Sprint Cup Series hits the track Sunday afternoon for the Cheez-It 355 AT The Glen. Dale Earnhardt, Jr. currently leads the standings in the “Race for the Chase” thanks to his win last weekend at Pocono. Earnhardt’s win coupled with Jimmy Johnson’s troubles and Brad Kesilowski’s 23rd place finish following the race’s fourteen-car pileup helped catapult “Little E” into the top spot in the standings as the NASCAR Sprint Cup Series inches closer to its “second season.” Sunday’s race will be preceded by its weekly NASCAR Countdown broadcast hosted by Nicole Briscoe. NASCAR Countdown will air live at noon eastern time. She will be joined by NASCAR legend and ESPN analyst Rusty Wallace and team owner/ESPN analyst Brad Daugherty. 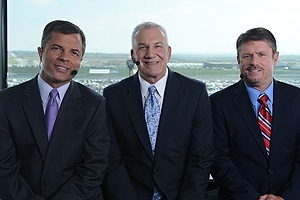 Allen Bestwick will have the call for this weekend’s races. He will be joined in the booth by fellow NASCAR legends and ESPN analysts Dale Jarrett and Andy Petree. Dave Burns will be in the pits this weekend along with Dr. Jerry Punch, Mike Massaro, and Vince Welch. 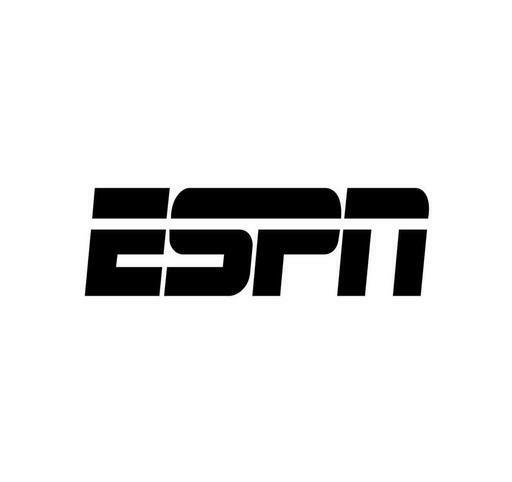 More information on ESPN’s NASCAR coverage is available online at http://espn.go.com/racing/nascar. To keep up with the latest sports and entertainment news and reviews, go online to http://www.facebook.com/philspicks and “Like” it. Fans can always keep up with the latest sports and entertainment news and reviews in the Phil’s Picks blog at https://philspicks.wordpress.com. Organizers of the annual Rocklahoma concert festival announced this week that they will make available a new ticket package for audiences. One (1) one-year subscription to Revolver Magazine. Tickets can be ordered online at the official Rocklahoma website, http://www.rocklahoma.com. Also on March 18th, ticket prices both for general admission tickets and general admission 4-packs will increase. General admission tickets currently are available for a price of $109 plus fees. Beginning March 18th, that price will increase to $129 plus fees. Weekend 4-pack General Admission packs will increase from $349 plus fees to $399 plus fees. This takes effect beginning at 1pm ET/12pm CT.
Members of the military can get discounted tickets for the Rocklahoma festival online at http://www.govx.com. Prices for those tickets will also increase March 18th at 1pm ET/12pm CT. The new ticket package and price increases are not all that organizers announced this week for the annual festival. Organizers also announced the return of the “Miss Rocklahoma” contest. The contest runs through April 18th. Ten finalists will be announced in late April online at http://www.rocklahoma.com. Contestants and fans can register and vote online at http://www.rocklahoma.com. 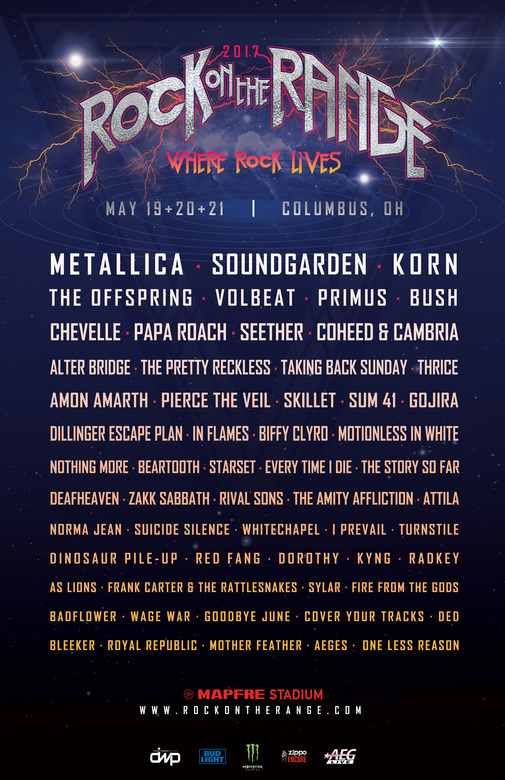 The complete lineup for this year’s edition of the Rocklahoma Festival is: Kid Rock, Five Finger Death Punch, Staind, Twisted Sister, Deftones, Seether, Motörhead, Jackyl, Filter, Black Label Society, Theory of a Deadman, Killswitch Engage, Skid Row, Tom Keifer of Cinderella, Hellyeah, Kix, Down, Pop Evil, Adelitas Way, Black Stone Cherry, Trivium, Texas Hippie Coalition, The Pretty Reckless, Thousand Foot Krutch, Redlight King, Skindred, KYNG, We As Human, Nothing More, Devour the Day, Heaven’s Basement, Gemini Syndrome, Butcher Babies, Eve to Adam, Truckfighters, Scorpion Child, Twelve Foot Ninja, Kill Devil Hill, Killer Dwarfs, Mandy Lion, Bai Bang, Lynam, ASKA, Black Tora, Firstryke, Mystery, Nasty Habit, Sleepy Hollow, Wicked, Down & Dirty, Loveblast, Ruff Justice, Ratchet Dolls, Ragdoll, Dellacoma, Chaotic Resemblance, Scattered Hamlet, Siren, Mach22, Tempt, London’s Dungeon, Mine Enemies Fall, Station, The Chimpz, Sleepwalking Home, Well Hung Heart, Framing The Red, Blackwater Rebellion, Dryvr, Jet West and Dirty Crush. The annual Rocklahoma Festival is sponsored by Bud Light, U.S. Cellular, Jagermeister, Monster Energy, Hard Rock Casino, Route 66 RVs, and Jack Daniels. More information on the annual Rocklahoma Festival is available online at http://www.rocklahoma.com, http://www.facebook.com/rocklahoma and http://twitter.com/rocklahoma. To keep up with the latest sports and entertainment news and reviews, go online to http://www.facebook.com/philspicks and “Like” it. Fans can always keep up with the latest sports and entertainment news and reviews in the Phil’s Picks blog at https://philspicks.wordpress.com.